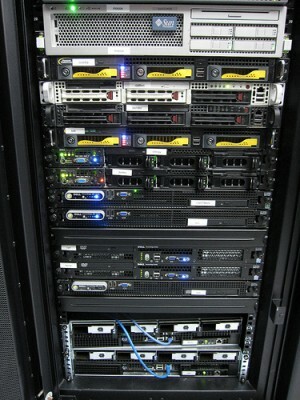 Over the weekend, we undertook a major site migration to a completely new web server. I’ll go into details on why we moved in a later post, but in short, we were having technical difficulties with our previous hosting provider and our site performance was suffering. That wasn’t acceptable, so we moved! Besides changing physical machines, we’ve switched from the ubiquitous Apache HTTP server to the high performance new guy, Nginx (pronounced “Engine-X”). In addition to serving you pages even faster, Nginx is more efficient and keeps our new machine very happy. As with any major change, things can break or behave unexpectedly. Because of this, I’d like to call on you to help notify us of any problems or changes in Techerator. If you experience any unusual behavior, please send an email to tips@techerator.com with as much information as possible (i.e. what error you saw, what were you trying to do, and include information about what browser and operating system you’re using). We’ll do everything we can to make sure the site works as it should. To help me gauge the performance of the new server, I’d greatly appreciate your feedback in the following poll. If you have extra details you want to share, please post in the comments below. Thank you for your patience with our intermittent downtime over the weekend!